Our name, MIMOSITO came from the combination of two Spanish words: Mimoso + Osito. "Mimoso"- meaning cuddly, someone who enjoys being given affection or wants to give affection in the form of physical contact. The suffix "Osito" - means little bear. Who does not love to cuddle with a little bear? EUROPEAN DESIGN - Uniquely designed by our designers in Spain. We strive to provide the best scarves, neckwear, shawl, wrap and foulard with fashionable, trendy designs. Our elegant designs makes a perfect gift option for you are your loved ones! Scarves are amazing and can take almost any outfit up a notch. 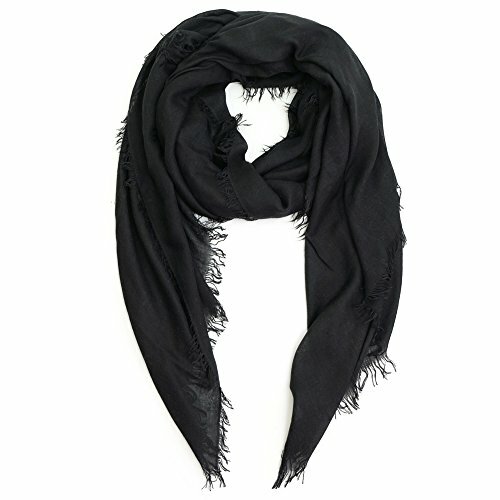 PREMIUM QUALITY - 70% polyester 30% viscose soft, lightweight scarves with multiple designs available. They are comfortable, warm, fashionable and versatile lightweight material that brings you simple & effortless style. We dedicated to provide products in high quality and reasonable price. If you have any questions about this product by MIMOSITO, contact us by completing and submitting the form below. If you are looking for a specif part number, please include it with your message.